Another great turnout for the Running Into Yoga Series. The sun was shining and it was a lot warmer than last weekend. We met and introduced everyone in the Earth room. A few new people joined the group so we introduced everyone and shared upcoming running goals. We then headed out towards the seawall. After warming up for 15′ together we reviewed the drills and strides before starting the workout. I wanted to keep the group close together so we did 10 x 1′ with 1′ rest. A few people were new to interval training so we stayed on the seawall and did out and back 1′. The group was close enough in pace they stayed together. There was a lot of people on the seawall and we heard a few comments from some that we were the Running Room. I better get some Running Into Yoga T shirts designed for the next Workshop. After cooling down we headed back to the Earth room to stretch the workout out of our legs. We went over a new yoga series designed for runners with emphasis on core stability and strength. If you have not signed up you still have a chance to check out the last workshop Sunday March 27th 2-4. Sign Up at YYOGA If you missed all three I am planning to run them again in July. I raced the Harry Rosen 8k earlier that morning. The plan for the race was for me to Tempo it and treat it like a workout. I had to keep reminding myself that before, during and after the race. My last race was James Cunningham seawall race 6 months ago. I was feeling quite fit mid January but after struggling with my Achilles issue for the past 6 weeks I was just excited to be back running. The plan was for me to run the first 5k at 3:50 and the last 3k at 3:40. The first 5k I avg 3:50 but when it came time for me to pick up the pace. There was no picking up the pace. Even though I did not hit the pace for the final 3k, I felt strong and stayed relaxed. After cooling down and going in the ocean with Amy, I checked out my Achilles and it felt good. 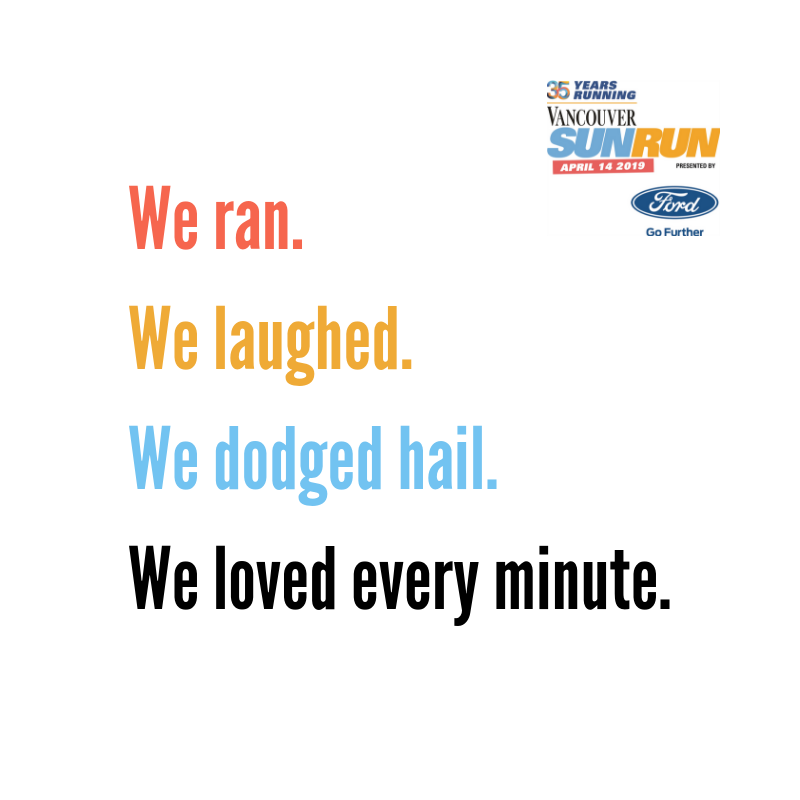 The next race is the Sun Run and BMO Vancouver Half Marathon. I have a lot of work to do.